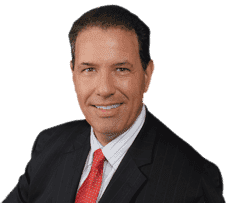 Your Slip and Fall Attorney for Palm Beach, Robert E. Gluck, will work hard on your behalf to try to get you the highest settlement possible for your injuries. Robert E. Gluck understands personal injury law and knows how to pursue a slip and fall claim to maximize settlement. He will try to prove negligence existed at the time of your accident, and if it did, you will be entitled to financial compensation. When a reasonable person does not provide appropriate standards of care to another individual and it results in injuries, this is negligence. Contact Robert E. Gluck today to schedule your free consultation. Your Slip and Fall Attorney in Palm Beach Robert E. Gluck will launch a complete investigation of the accident once he has evidence proving negligence. Robert E. Gluck has been an attorney since 1989, and he is very dedicated to all of his clients. Robert E. Gluck has a genuine concern for all of his clients and will provide you with the emotional support you need to get through this difficult time. With Robert E. Gluck at your side you will feel less stressed and more confident about your case. It is very important to hire an attorney with experience representing clients in slip and fall accidents. Call him today, do not wait! Hiring a Slip and Fall Attorney in Palm Beach will make a huge difference in how your case ends. Studies indicate settlement is more often rewarded to injury victims who have an attorney representing them. Robert E. Gluck will work hard to try to get you the highest settlement possible. He will move as quickly and as efficiently as he can. Call Robert E. Gluck as soon as possible after your accident, do not wait! Your Slip and Fall Attorney in Palm Beach, Robert E. Gluck, will locate witnesses and obtain their witness statements. He will take pictures of the accident scene and try to secure video footage. He will also examine the entire accident scene for damages. Robert E. Gluck will put together all the evidence he finds to build a strong case on your behalf. Contact Robert E. Gluck today to make an appointment to speak with him, you will not regret it!